Life can be so tough, if not impossible at times. How do you cope with the challenges, seasons of disappointment, hurts, and unforeseen obstacles? The secret to overcoming your problems is to embrace something bigger than your problems. God knew that and that is why He designed us to get outside ourselves and give back. When you get outside yourself, you get inside God. You get inside His heart, His ways, who He is. You take hold of what you were ‘taken hold of for’ (see Philippians chapter 3 in the Bible). The end game is an incredible life of fulfillment and purpose. Identifying with a local church is one of the greatest avenues God has given us to flesh this out. This past Sunday three families became members of THE GATHERING during Church 101, the first step in Growth Track, making the commitment to get outside their self and give back! This Saturday, we are invading our community in mass with Serve Day. We will be fixing up, painting, cleaning, serving however we are needed. We just want to give back. 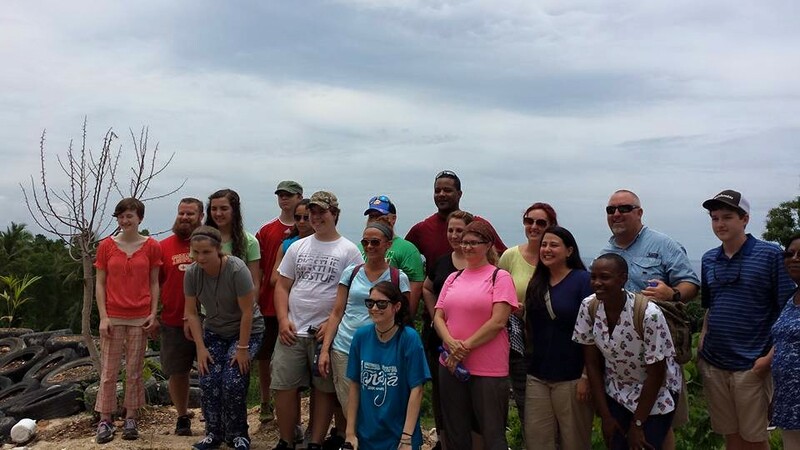 22 people gave back in the community of Oban, Haiti earlier this summer. Come hear their stories during our next Night of Worship on July 19 at 5p. Finally, hundreds of amazing Dream Team members give back every day of the week, including Sunday’s, in a big way. God is honored and lives are not only changed, but so many are experiencing true fulfillment and purpose. It’s exactly what Jesus set into motion and now gives us the desire and power to do.